Mammoth Biosciences, a startup created to develop a CRISPR-enabled platform capable of detecting any biomarker or disease containing DNA or RNA, has completed a $23 million Series A financing. Mammoth—whose co-founders include CRISPR pioneer Jennifer Doudna, Ph.D.—said the financing will enable the company to build out its IP portfolio, expand its staff, and develop an infrastructure for partner companies to build on Mammoth’s CRISPR platform, with a focus on pharmaceutical and agricultural collaborations. Mammoth emerged from stealth mode in April, disclosing plans to develop an easy-to-use and affordable point-of-care test enabling fast, simultaneous detection of multiple conditions, in real time, both in the hospital and at home, through a single credit card-sized strip form factor. Once at-home users have completed the test, according to Mammoth, they would be able to securely upload an anonymous photo of the strip to the company’s corresponding application for remote analysis, then receive their confidential results and professional advice, all in under an hour. Mammoth has positioned its platform as being capable of reducing healthcare costs by replacing the need for dedicated testing devices—based on applications ranging from disease detection and biosensing short-term, to gene editing and therapeutics longer term. In an announcement yesterday, Mammoth articulated a long-term vision of providing a CRISPR-based platform on which it could join with developer partners to build an infinite number of tests, both within healthcare and also across industries such as agriculture, oil and gas, and forensics—a platform Mammoth said would be similar to Apple’s iOS. “We’ve already made great strides in our mission, and look forward to building out our talented team, connecting with forward-thinking partners, and delivering the power of CRISPR to everyday life,” Trevor Martin, Ph.D., co-founder and CEO of Mammoth, said in the statement. The company added that it is reviewing requests from potential partners interested in building on its CRISPR-based platform, and fielding job applications from would-be staffers. Mammoth licenses proprietary CRISPR technology exclusively from the University of California (UC), where Dr. Doudna’s lab is based. She oversees the company’s scientific vision and chairs Mammoth’s Scientific Advisory Board. Joining that board, said Mammoth, are Charles Chui, M.D., Ph.D., an associate professor at UC San Francisco whose research focuses on infectious disease; and David Savage, Ph.D., an associate professor at UC Berkeley whose expertise is in protein engineering. 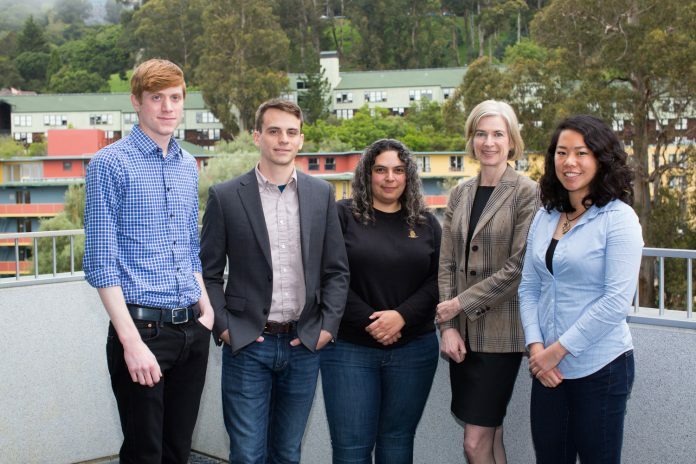 In addition to Dr. Doudna and Dr. Martin, co-founders of Mammoth include its CTO Ashley Tehranchi, Ph.D.; and two UC Berkeley Ph.D. students, Janice Chen, chief research officer, and Lucas Harrington, chief discovery officer. Mayfield led Mammoth’s Series A financing, with participation from NFX and 8VC. All three were disclosed in April as being among investors in Mammoth, along with AME Cloud, Wireframe, Kairos, and Boom Capital. Ursheet Parikh, MBA, a partner with Mayfield who led the firm’s investment in Mammoth, will join the company’s board.